Subramaniam Meenakshisundaram (Subbu) is an Executive IT Specialist with IBM Systems Division. With 19+ Years experience on Power Systems, IBM Storage and Systems Technologies, Subbu has worked on complex client projects with a focus on performance. In his current role, Subbu is driving Cloud Strategy for his organization and leads AI practice for the Asia Pacific in Systems Lab Services. 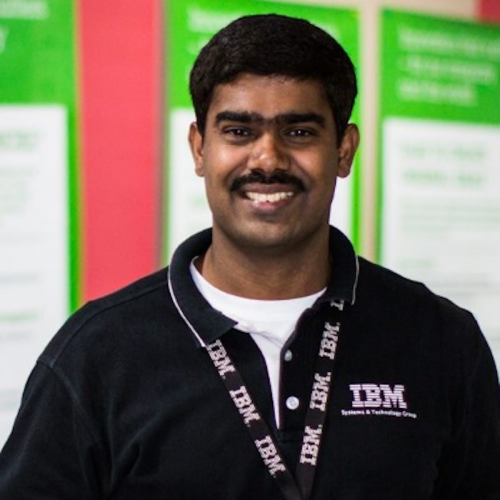 In addition to his primary job role, Subbu is a member of IBM Academy Leadership Team. From here to AI: AI Adoption in India, challenges, and opportunities. India presents a big challenge and an opportunity for AI at scale. Right from the availability of quality data to having strong data science skills, companies are in constant search for resources. There is a significant pressure on IT Service Providers to show quick results, with quality. Having spent some time now in this space, the speaker will talk about where we are today, some of the gaps that need to be addressed, a few use cases that customers have been exploring or has been implemented and IBM's on-premise AI offering PowerAI.